The phone rang late Sunday afternoon. My mom’s voice sounded worried, concerned, like some uncomfortable question was coming. I knew this tone, knew it usually meant something was wrong. Nothing tragic or anything like that. But something. Still, I had no idea what it could be, no idea what was coming. Now, my mom’s revelation was only half accurate. My dad did, indeed, throw something out in the old, plastic trash can in my parents’ garage. But it was actually a Sega Dreamcast, that forgotten antiquity from the final years of the Clinton administration, from that time when every family in Kansas City still owned a Gateway computer with Windows 95. In many ways, this is an era and place that no longer exists — figuratively and, I suppose literally — and this is the world in which Dreamcast was conceived. Thing is, it’s not that Dreamcast couldn’t exist today. Need proof? Just look up the latest iteration or number of PlayStation, XBox or Nintendo. That’s Dreamcast with better financial planning and marketing. I still remember the Christmas day when the Dreamcast box first showed up inside my house on 101st Terrace. I was never a big video-game kid; part of that may have been because I was a sports kid – spending half my childhood in basketball gyms and tennis clubs and at baseball complexes; but another part of that may have been that my family always seemed to be one gaming system behind the rest of the neighborhood, still playing Duck Hunt and Paperboy and Bases Loaded on NES when my friends had moved onto to the welcoming, circular world that was the Super Nintendo controller. *I can still tell you that the two most underrated teams in this game were Georgia Tech and Oklahoma. The Rambling Wreck had some combo guard that I can only imagine must have been Stephon Marbury, while Oklahoma featured a freakishly athletic white swingman that, despite his blonde hair, MUST have been Ryan Minor**. **Minor, of course, was the great two-way Oklahoma star who would eventually become famous for being the guy that replaced Cal Ripken Jr. when his iron-man streak finally ended. But if that really was Minor in College Slam, THAT was his greatest achievement. Eventually, we wore that Super Nintendo down to the computer chips, smoothing the plastic on the controller, staining the console with God knows what, and laying more finger grease on that reset button than one can imagine. And by December of 2000, I was ready to take the next step. The Super Nintendo had been out for nearly nine years by that point — we had probably had it for close to seven — and I’d become a gaming leech, copping rounds of GoldenEye in my friends’ basements whenever I had the chance. *They even let me be Oddjob because I sucked so bad. Even though, every 13-year-old kid in America in 1999 knew that the creators of GoldenEye had just made Oddjob too damn small. He was IMPOSSIBLE to kill. Finally, on Christmas Day, the Dreamcast arrived. I was like Ralphie after he opened the Red Ryder BB Gum. Not only could I rid of myself of my Super Nintendo Shawshank, I felt (almost) cutting edge. The Playstation 2 had only been out for a couple months. Xbox and Nintendo GameCube wouldn’t debut until 2002. I had a Dreamcast, damnit. Who had one of those? Of course, at least one thing makes this scene hilarious in retrospect. 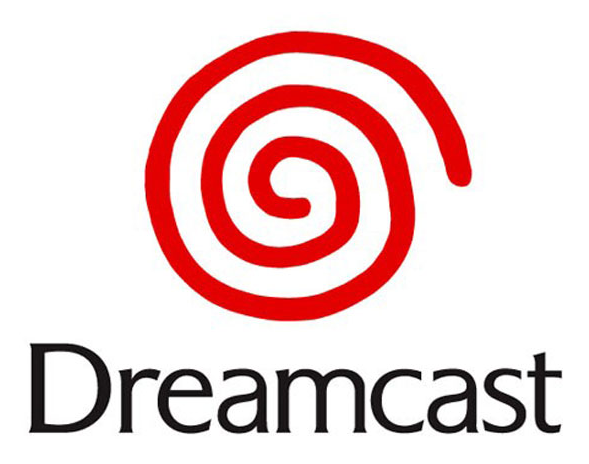 The Dreamcast would be (and probably was at the time) a commercial flop. Sega would discontinue it in early 2001. I had received a lame-duck system. This isn’t to say there weren’t good times. I played the hell out of Tony Hawk’s Pro Skater 2, so much, in fact, that I can still remember nearly the entire soundtrack*. Dub Pistols’ “Cyclone”; Millencollin’s “No Cigar” and so many more. I must admit: I have this intense memory of Goldfinger’s “Superman” being in Tony Hawk 2. But maybe I just remember playing it on Nintendo 64 at my friend J.D.’s house. I spent way too many hours playing NBA 2K1 and NFL 2K2, two very underrated sports titles. I played a pirated copy of Crazy Taxi, and ripped forehands with Carlos Moya on Virtua Tennis. Dreamcast wasn’t a perfect system. But I was an imperfect gamer; someone that really didn’t care about videogames all that much, but just needed a time-killer every now and then. My parents, it seems, had decided that the basement needed cleaning. And my dad had stumbled upon the Dreamcast, sitting in the corner of the room, still perfectly positioned to be plugged in and played. I’d like to imagine that a dusty copy of NFL 2K1 sat nearby; or that my one and only memory card was still in the middle of the (still fun to hold) Dreamcast controller. I paused for a second, thinking, instantly flashing back to my grandparents’ house in Manhattan, Kan. I remembered the trips back to that old, musty, one-story ranch, the times I’d stumbled upon my mom’s old toys. Sometimes I’d mess around with them, just for the novelty factor. But most of the time, the feeling was overwhelming: They just felt SO OLD. And here’s the thing: We live in a world where we don’t HAVE anything anymore. I own 6,810 songs on the iTunes on my MacBrook Pro. But I don’t actually possess anything tangible, no CDs, no records, nothing of weight or substance. I subscribe to Netflix – but I only stream, letting me watch an assortment of (usually mediocre) movies for a monthly fee. We read on Kindle, and pay bills on iPads and laptops, and I imagine that tangible video games — if they haven’t already — will soon grow extinct. In and of themselves, I suppose these are not necessarily bold or revelatory realizations. But as I sat there on the phone, I thought about some young kid stumbling upon a Sega Dreamcast in 2027, wondering why you have to use your hands (It’s like a baby’s toy! ), and then moving on, to something more interesting, something less tangible, something that barely even exists. I really didn’t need the Dreamcast anymore. And I guess it’s not really worth keeping. I don’t blame you at all. I am still not real old, just starting college, but when I think back to my Playstation 1, my gameboy color, gameboy advance and pokemon cards, I wish I kept them. There’s a little nostalgia there and I also enjoy having something tangible. I just bought a Dreamcast having never played one when I was younger but remembering them. It doesnt hurt to keep that stuff around, you are keeping it out of the landfills and you won’t get rich selling it either. I think you made a wise decision. Bust out the old dreamcast one day and enjoy some good times again.